History: Middle aged man with headache. 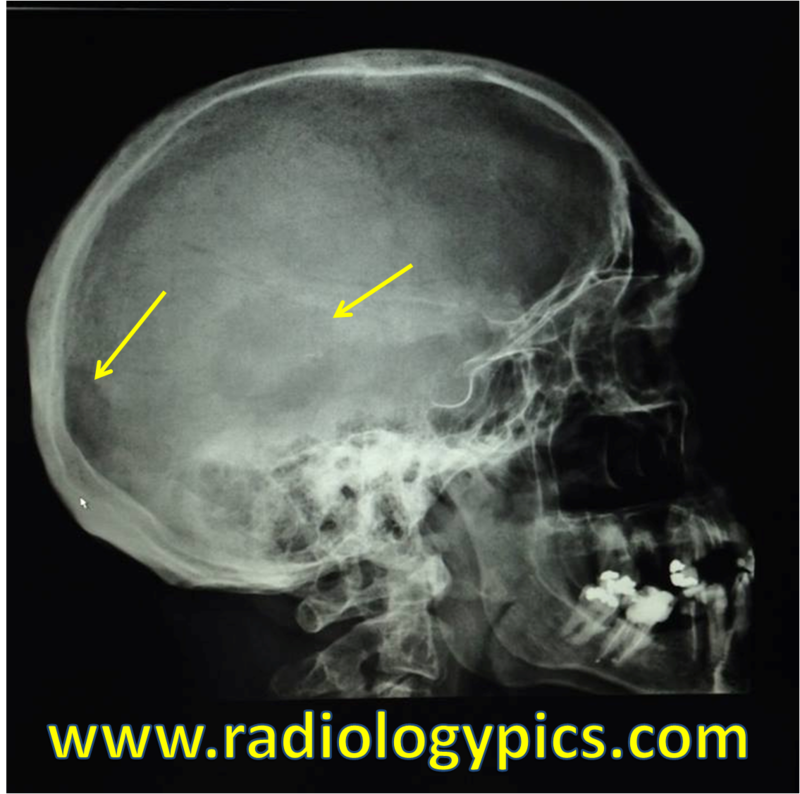 Lytic Bone Metastases – Lateral radiograph of the skull reveals two lytic lesions (yellow arrows), concerning for metastases. This is a case of lung cancer metastases to the skull. Lung cancer, like breast cancer, can produce both lytic and sclerotic bone metastases. Read about other cancers and the bone metastases they produce. Thank you to Dra. Pilar Rodríguez Pérez from Spain for submitting this case. See this patient’s lung cancer.